Its reamer axle deploys automatic core adjustment. The upper axle is an arm-dependent structure. The casing is weld with entire steel sheet has supper entire rigidity. The gear of the gear box lubricated via the gear pump. 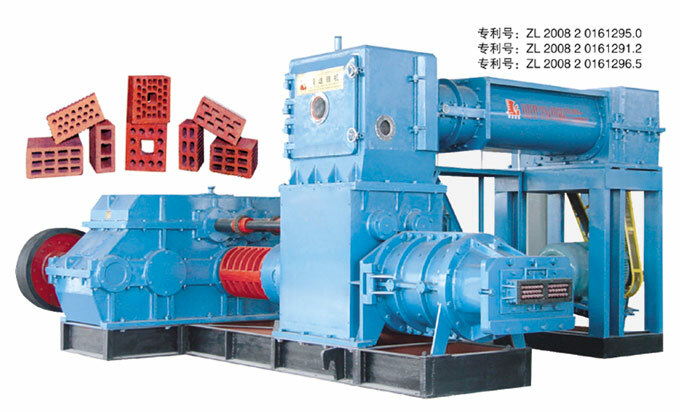 The machine features in convenient, aintence, compact structure and high vacuum degree. It is applicable for the production of high aperture rate hollow brick, high adulteration fly ash agglomeration brick and the production with gangue, shale, low plasticity clay etc.